What can be delightful present other than a birthday chocolate box? Winni presents you this wonderful present to make your loved one’s birthday more special than ever before. This gift consists of smooth, creamy and crunchy lip-smacking chocolate truffles. These chocolaty delights are made of the finest ingredients and give a melt-in-mouth experience. 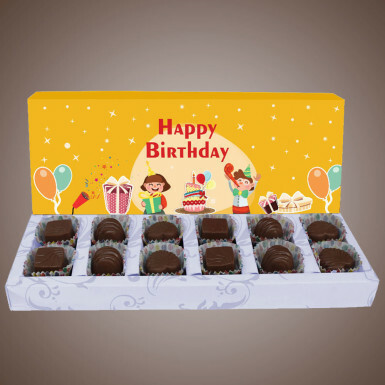 So, send your wishes packed in this Birthday chocolate box on your dear one's birthday. Go for it guys! Place your order now only at Winni.